Manchester United have officially confirmed that Zlatan Ibrahimovic has signed a new one-year contract with the club. The legendary Swedish striker has been out of action since rupturing the anterior cruciate ligaments in his knee during United’s Europa League quarter-final victory over Anderlecht. 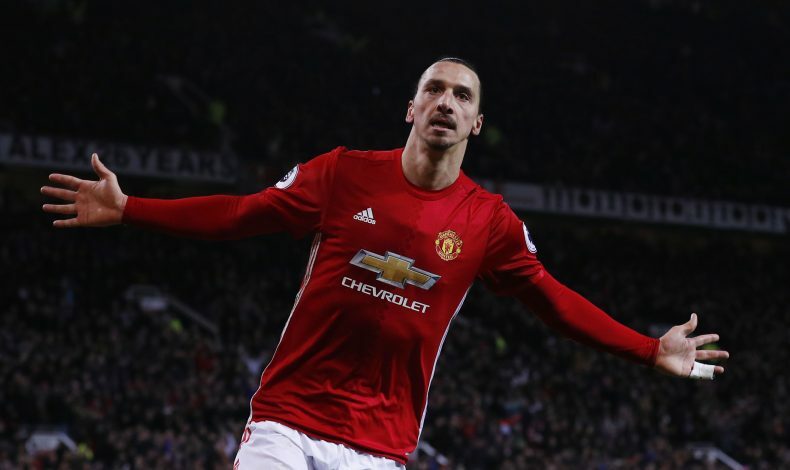 At the age of 35, many expected this injury to end Ibrahimovic’s career as a professional footballer, and he was initially released by United, who seemed unwilling to take a risk on him. However, in true Zlatan fashion, he has defied all expectations by making an astonishingly speedy recovery. Despite his release, United granted him full access to their training ground facilities in order to aid his rehabilitation and recovery, and he has worked incredibly hard to get back to full fitness. The Swede has impressed everyone at Old Trafford with his work rate, and it has ultimately earned him a new deal. Unlike last season, Ibra will probably have to accept a lesser role as a substitute this season, owing to the arrival of Romelu Lukaku this summer. The big Belgian has taken over the Swede’s no.9 shirt, and has worn it to some distinction so far, scoring four goals in the three games he has played for the club. The occupancy of the number 9 shirt means Ibrahimovic will now wear no.10 on the back – the number that has been left vacant since former captain Wayne Rooney rejoined his boyhood club Everton this summer. Zlatan joins an elite band of players to have held the legendary shirt number of United, including the likes of Rooney, Ruud van Nistelrooy, Teddy Sheringham, David Beckham, Mark Hughes, George Best, and Sir Bobby Charlton. Speaking of the deal, Jose Mourinho said: “We are delighted Zlatan is on the road to recovery and we are equally delighted to have his ambition and experience back with us. Zlatan Ibrahimovic also had his say, by declaring: “I am back to finish what I started. It was always mine and the club’s intention for me to stay. I cannot wait to get back out on that Old Trafford pitch, but I also know that I have to take my time to make sure that I am ready.